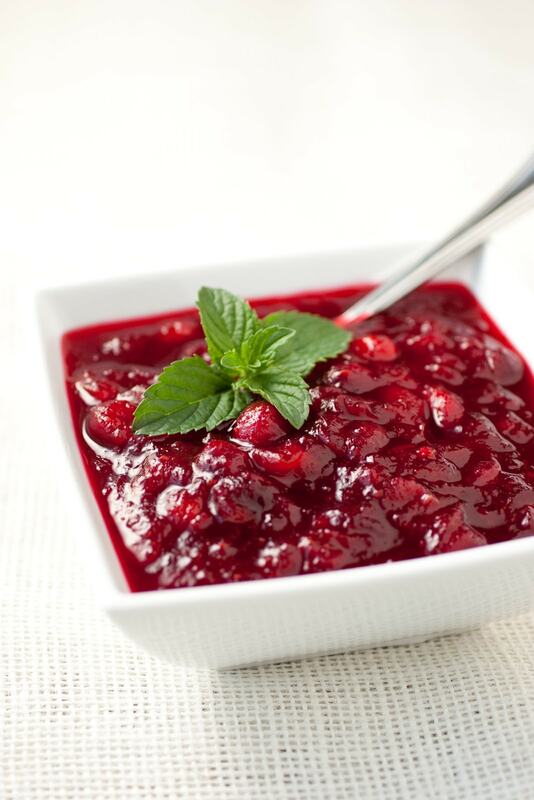 Homemade Cranberry Sauce – this is hands down my favorite cranberry sauce! It has the perfect balance of sweet and tart in it’s deliciously vibrant. It’s the perfect compliment to roasted turkey or even a rotisserie chicken. Is there anything like a delicious, made from scratch Thanksgiving meal? Many people settle for the stuff that comes out of a can or a box, and that’s just it, it’s settling. If you find yourself to be one of those people that is settling, I would highly recommend this year you give the homemade alternative to the pre-packaged and processed Thanksgiving foods a try. The two are a night and day difference. Like this for instance, one comes in the shape of a can while it’s homemade opponent has a spoonable texture and begins with fresh fruit. Not to mention this is unbelievable easy to prepare. 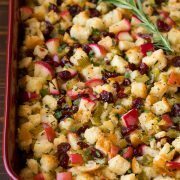 What Ingredients do I Need for Homemade Cranberry Sauce? How do You Make Cranberry Sauce? In a medium sauce-pan set over medium-high heat, whisk together water, orange juice, granulated sugar, light-brown sugar and orange zest. Bring mixture to a boil then carefully pour in cranberries and reduce heat to a simmer. Allow mixture to simmer about 10 – 12 minutes, stirring occasionally, until cranberries have popped. Allow mixture to cool about 20 – 30 minutes. What Can I Make with Leftover Cranberry Sauce? 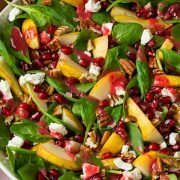 More Delicious Recipes You’ll Love! This is hands down my favorite cranberry sauce! It has the perfect balance of sweet and tart in it's deliciously vibrant. 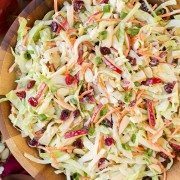 It's the perfect compliment to roasted turkey or even a rotisserie chicken. Allow mixture to simmer about 10 - 12 minutes, stirring occasionally, until cranberries have popped (they skin on the cranberries will burst and it will release the juices and pulp, in other words they'll pop open). Allow mixture to cool about 20 - 30 minutes. Store in refrigerator in an airtight container. Kathryn: I use the same recipe but omit the brown sugar and use less granulated sugar. The tart cranberries and the sweetness of the sugar is perfect; allthough, I might try substituting Vodka for the water during Christmas Holidays. Amy G: I grew up in a home where my mother and my grandmother made it from scratch.. I still make my cranberries and my recipe is almost identical to yours. Thank you for sharing I find your pages are full of many wonderful ideas..